This classic cap is a must-have for our hot sunny days and also makes a stylish accessory for the sports, barbeques or days out at the beach. The timeless design of this cap will last for years to come without going out of fashion. It is double stitched along the seams and on the peak for extra strength, ensuring that it will always retain its shape. 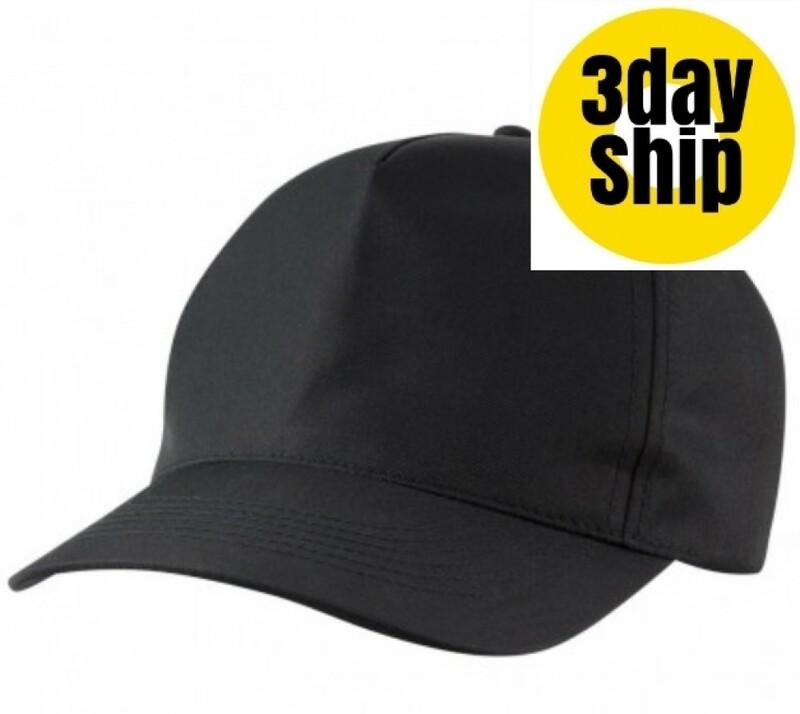 These caps are made from top quality fabric that is long lasting and durable. They are easily cleaned by wiping with a damp cloth and soapy water. To maintain and preserve the shape, the cap should not be folded or crushed when packed away. 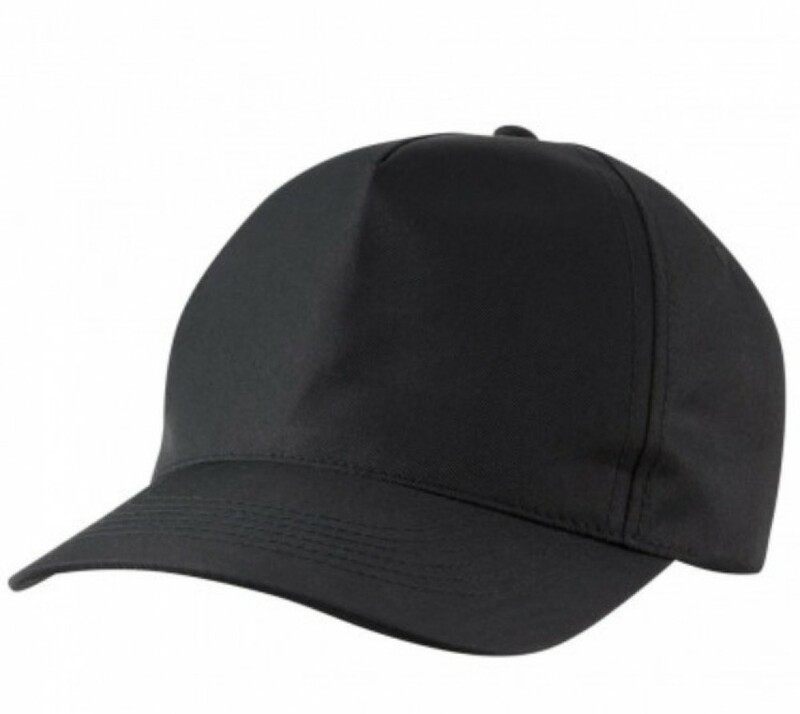 The cap comes in a solid black colour, ideal for showcasing your personalised corporate logo, team logo or school emblem. Help you create a great marketing campaign by embroidering your logo onto the cap. Hand them out at school or team events, trade shows and expos. They make great freebies that people are sure to wear and show off your brand. Our pricing includes 8k embroidery of your personalised graphic. Embroidery can be done on the peak, sides or back of the cap and embroidery can accommodate multiple colours. A once off set up of $50 applies for orders under 50 units. Delivery of this item is within Australia only. Please note that our listed pricing excludes GST. We deliver to the door in all Australian states and territories -- NSW | VIC | QLD | WA | SA | TAS | ACT | NT. We are not able to deliver outside of Australia at this time. Please allow for a two-week turnaround between final approval of artwork to delivery. Because our courier will require a signature for delivery, we are unable to deliver to post-office boxes.